The third time is a charm for Sarah Sundin, author of the "Wings of Glory" series. The books, which center around the Novak brothers and their experiences during World War II. Like the two previous novels, Blue Skies Tomorrow, focuses on one brother (weaving a bit of the other two in the background) and his life story. A dash of romance - in this case, with a young mother, left widowed by war - adds an extra dimension to the tale. What was different about this book (spoiler alert) is how Sundin delved into some pretty serious topics of domestic violence, all within the context of what would have happened during the WWII era. As a reader of the entire series, I've been captivated at times by Sundin's knowledge of this historical period. I think, though, that this book, though third in the series, caught my attention in a new way. I can definitely recommend this series, and honestly, if you haven't read the other two, it could be taken as a stand-alone novel. She includes enough back story, to catch newbies up, and yet, enough new stuff to catch "veteran readers" up on the happenings of her past characters. 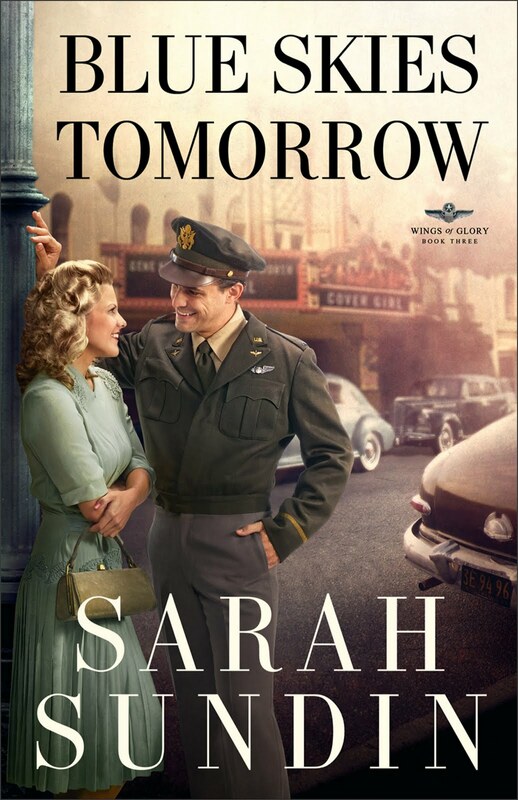 If you are a fan of World War II fiction, then take "Blue Skies Tomorrow" out for a spin. I think you'll find it's worth the read. 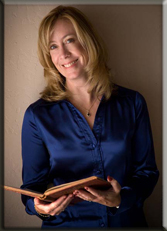 Sarah Sundin is the author of A Distant Melody and A Memory Between Us. To celebrate the release of Blue Skies Tomorrow, the final installment of the Wings of Glory series, Sundin is giving one lucky winner A Vintage Kindle Prize Package! To enter just click one of the icons below. But, hurry, giveaway ends on 9/10. Winner will be announced on 9/12 at Sarah Sundin's blog. Details and official rules can be found when entering the contest. Kaylea - thanks for the lovely review! I'm so glad you enjoyed Ray & Helen's story! You are very welcome! I've loved the entire series!